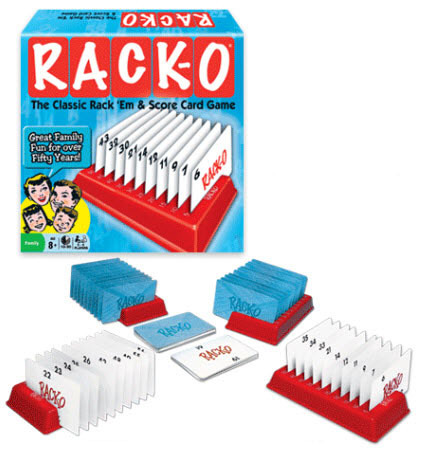 Since the "Fabulous Fifties", families have enjoyed this rack'em up, fun-filled card game. This new edition, featuring fine quality cards with bold numbers, will delight players young and old. 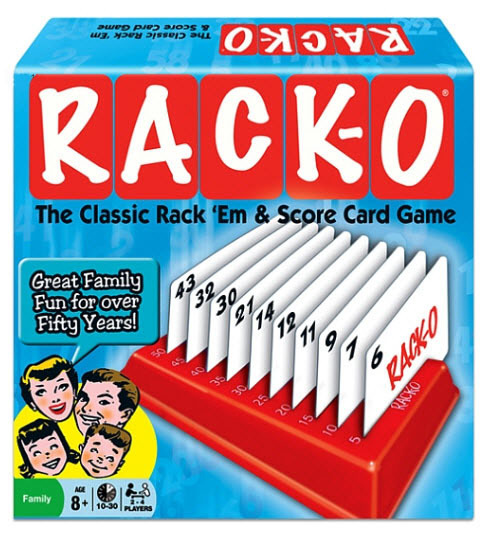 RACK-O is timeless fun! How to Play - Players randomly "slot" ten cards on their rack. The race then begins to draw and discard until one player positions ten cards in numerical sequence. Sound simple? It is but you'll need skillful play, concentration and just a little luck to win. Contents: Deck of 60 Rack-O playing cards, 4 Plastic Card Racks, and rules.